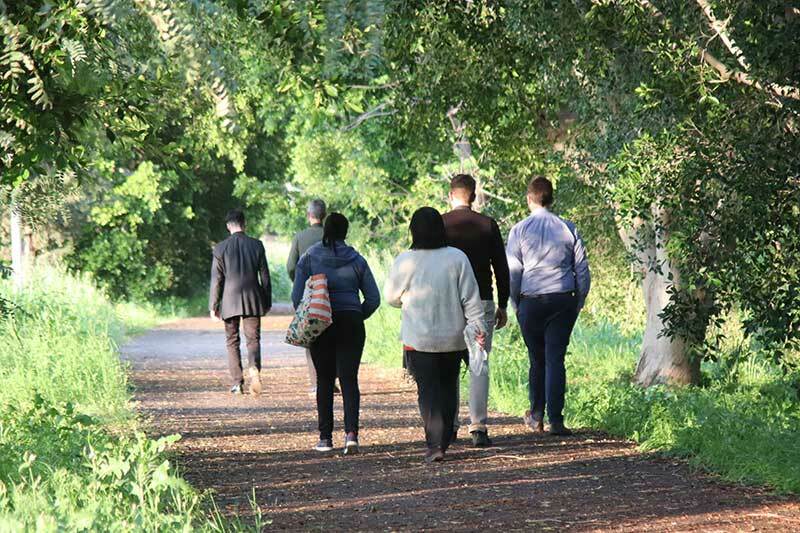 This course, new to St. George’s College in 2020, offers an exciting opportunity for pilgrims who wish to experience the land from an entirely different perspective: walking. The course will spend five days following segments of the Jesus Trail in the Galilee (see www.jesustrail.com) from Sepphoris (Zippori) near Nazareth to Capernaum, staying each night in a guest house or hotel along the way. Walkers will only carry day bags; luggage will be sent to the next guest house via the bus. All segments are rated easy or moderate; the two hikes marked “difficult” on the website’s elevation chart will be taken by bus to make the entire journey more available to less experienced walkers. The longest daily walk is 8.95 miles (14.4km). The course will begin with a night in Jerusalem after arrival at Ben Gurion Airport in Tel Aviv and will return to Jerusalem for two more nights at the conclusion of the Jesus Trail walk. All along the walk, the biblical landscape, towns, history, and archaeology will be presented and worship will be conducted. Course members will experience the closest thing we have to the pilgrimages of old that involved long distances of walking, reflection, and community-building. In Galilee the course will focus on the life and ministry of Jesus, while in Jerusalem the final week of Jesus’ life will form the backdrop for visits, walks in the Holy City, and prayer. Students will be able to rest in the comfort of St. George’s College and the Cathedral Close before returning home. This course is ideal for those who have taken a previous, more traditional study pilgrimage at St. George’s College or who wish to experience their first visit to the Holy Land in a more unconventional way. Parents and children age 14 or older are encouraged to consider attending this course, as are outdoor enthusiasts or persons who are experienced walkers along other pilgrim ways. A special list of required and suggested items for walking comfort will be sent to those who register.